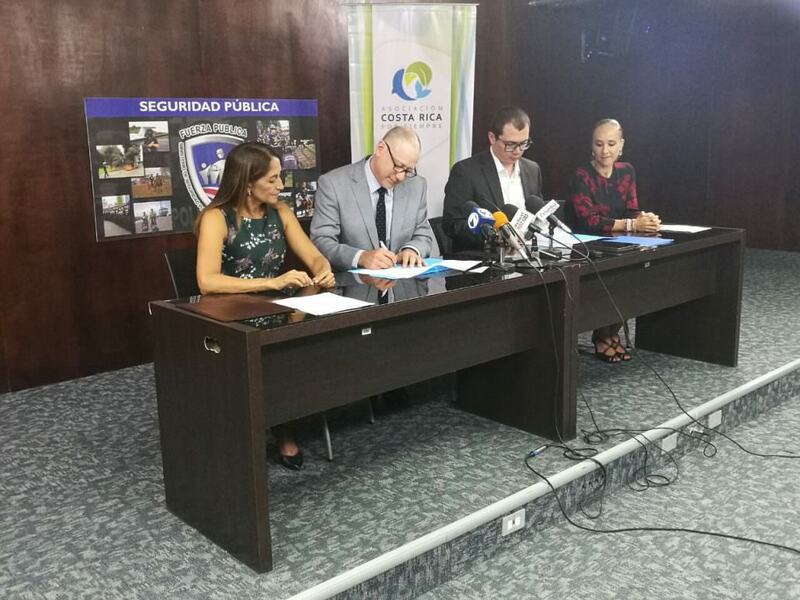 Costa Rica and Global Fishing Watch (GFW), working with the Asociación Costa Rica por Siempre and the Fundación Pacífico, have entered into an agreement to advance transparency in the country’s fisheries. Costa Rica’s Ministry of Public Security and the Ministry of Environment and Energy signed a letter of intent on May 2nd to make the country’s vessel monitoring system (VMS) data public through GFW’s mapping platform. “The collaboration agreement with Global Fishing Watch is a step forward in strengthening the capabilities of our ministry for effective protection of fishery resources and the surveillance of our maritime territory through state-of-the-art technology,” said Minister of Public Security of Costa Rica, Gustavo Mata. 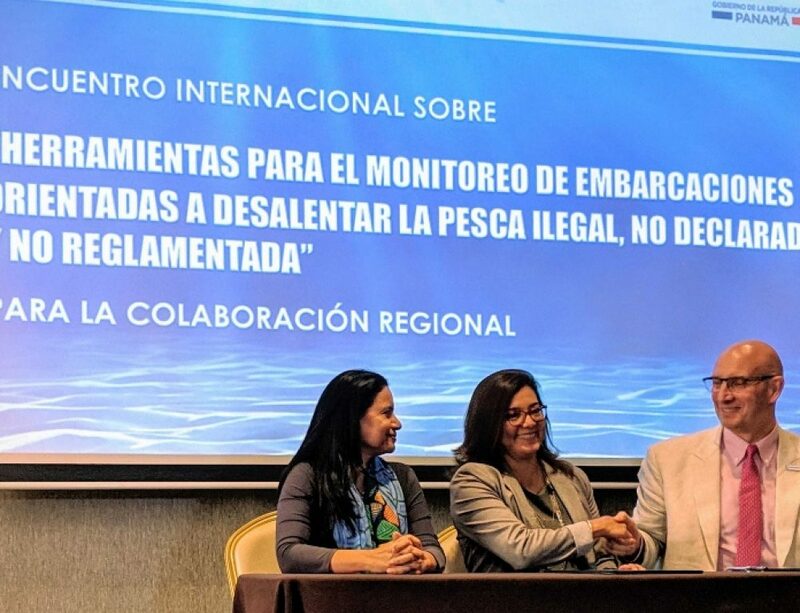 This agreement represents a bold step towards greater transparency and improved security in Costa Rica’s waters – a significant commitment for a country that relies heavily on fisheries, and a healthy marine environment, for economic growth and local livelihoods. “The agreement builds on similar commitments from Indonesia and Peru, and reflects Costa Rica’s environmental leadership – the country aims to become the world’s first carbon neutral country by nurturing its forests, and is investing in protecting the country’s valuable biodiversity.” said Leyla Nikjou, Transparency Program Director with Global Fishing Watch. 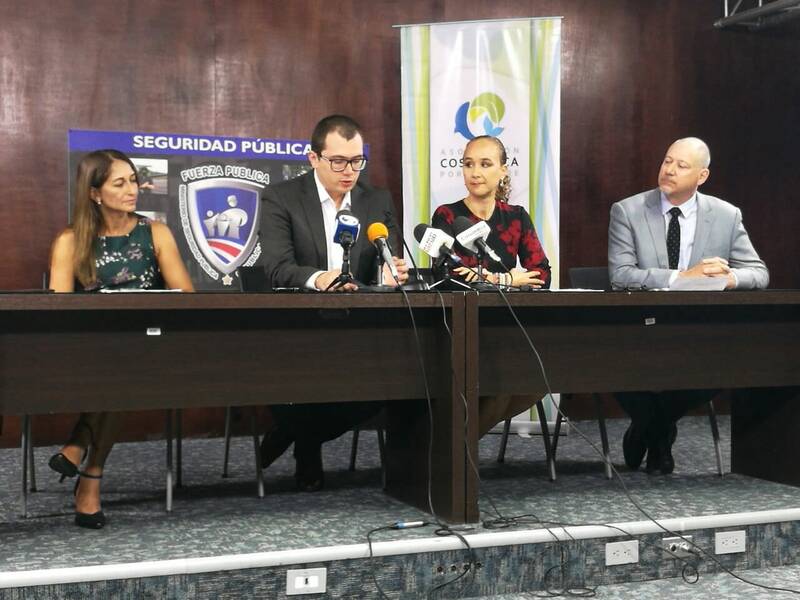 The collaboration follows a Ministerial Meeting on Environment and Maritime Safety hosted in Panama last month, where Global Fishing Watch met with officials from Costa Rica to discuss a plan for the agreement. Implementation of the agreement will be supported through public-private collaboration with the Asociación Costa Rica por Siempre and the Fundación Pacífico, among others. Representatives of Global Fishing Watch, Costa Rica por Siempre, and the Costa Rican government, sign a letter of intent for partnership to bring transparency to Costa Rican fisheries. Costa Rica’s announcement builds on growing momentum among governments eager to embrace transparency and demonstrate it by making their vessel tracking data public. Indonesia’s VMS data is available on GFW’s platform, adding about 5,000 medium-sized commercial fishing vessels that are not required to carry automatic identification system (AIS), and are therefore not reliably trackable by any other means. Peru’s VMS data is expected to come online on GFW soon, with other countries also in dialogue with GFW. Costa Rica signed the letter of intent within the framework of their regional control and surveillance strategy, which aims to better manage and conserve their Pacific waters where over 90% of their fishing vessels operate. Through the partnership with Global Fishing Watch, Costa Rica aims to improve monitoring effectiveness within their exclusive economic zone (EEZ). Global Fishing Watch is eager to process and publish VMS data from any country committed to taking this same bold step toward transparency.